The battle over animal welfare is coming to a head in the US. California’s Proposition 2 comes into effect in January 2015, which is almost immediately, in terms of the farms affected. The story is complicated, the issues are multi-layered, and as far as I can tell, NOBODY is going to win. Turn the clock back to the halcyon days of 2008. An animal rights group called the Humane Society of the United States (HSUS) champions a ballot initiative in one of the most liberal states in America. HSUS is an organization that is dedicated to the reduction and elimination of animal use in the world. They had a budget of $125,763,492 in 2012, but used less than 1% of their funds for shelters. They claim to want to improve the lives of laying hens and other farmed animals in California….cynics say they are trying to destroy the egg and pork industries. Proposition 2 stated that “calves raised for veal, egg-laying hens and pregnant pigs be confined only in ways that allow these animals to lie down, stand up, fully extend their limbs and turn around freely.” It passed with 63% of the vote. Californians, although reportedly being confused about the implications of the statement, clearly want improved welfare for farmed animals. They also eat almost 9 Billion eggs per year. After much legal wrangling, it has been decided that furnished cages (cages with a nest box, perches, scratch areas and more space) are an acceptable method of farming hens, as are free-range, free-run and aviaries…..all of which are noticeably more expensive than eggs from hens housed in cages. Proposition 2 has an implementation date of Jan 1, 2015. Farmers want to look after animals, produce food and make a living. Several farmers decided to adopt new technologies and improve the welfare of hens. Notably JS West Co. has converted several barns to furnished cages at an incredible cost. They tried to recoup their investment by selling the eggs for a small premium. Unfortunately, nobody would buy the eggs, and JS West has been forced to sell the eggs as traditional white eggs, at a loss. Enter the Governator. Arnold knew that, if the eggs produced in California had to be more expensive, they could not compete with cheaper eggs from Iowa, which has almost 52 million laying hens, well over 90% of which live in cages. He proposed a law that would require that any egg sold in California would have to be produced by hens held to the new standards required by Prop 2. Unfortunately, this law seems to be unconstitutional, since agricultural standard in one state cannot be dictated by another state’s rules. The Governor-General of Missouri is suing California to allow access to California’s egg market, and it looks like he will likely prevail. So…..where does that leave them? At the end of the day, rules are rules, and California farmers will have to follow the housing regulations. California will have to allow free trade of eggs from other states. The end results will be millions or billions of dollars spent in court (depends who you ask), eggs produced in California will be more expensive to produce, and unless something drastic happens, all but 5-6% of Californians will buy the cheapest eggs in the store. HSUS will not achieve either of their purported goals….egg consumption will not drop due to higher prices (which is supposed by critics to have been their actual end-game), and the same proportion of California egg consumption will be from caged hens (meaning no improvement of welfare, which is their official goal). 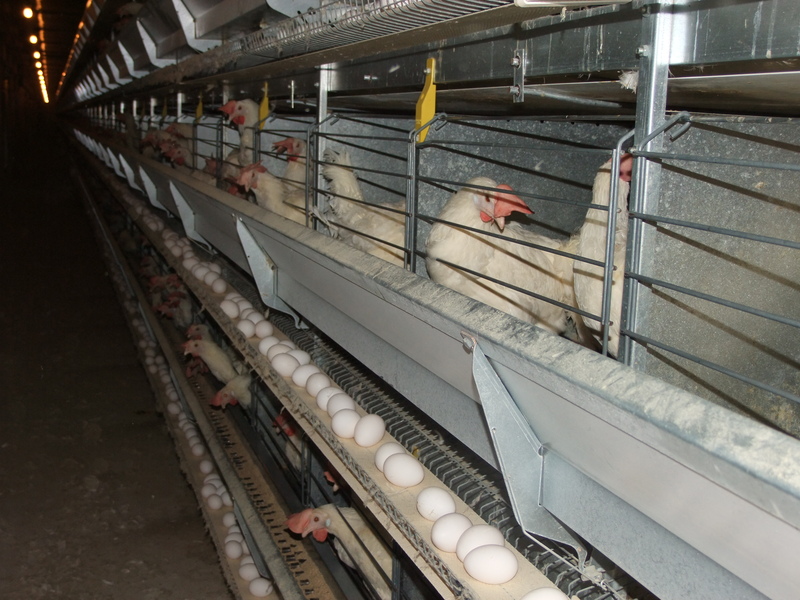 Californians will not get improved animal welfare, since they will continue to buy eggs as they always have….more than 90% of the eggs from hens in cages. Farmers in California will basically go out of business. If you are producing a commodity that is purchased on price, and your production costs are higher, you must make less profit. Eventually, they will go elsewhere. 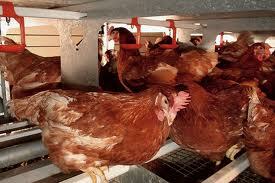 Hens will not have an improved life. Actually…just from the fact that they will live in Ohio instead of California, it is arguable that their quality of life will go down……not many people take holidays in Ohio…. This is a case of the left hand not knowing what the right hand is doing, and nothing getting accomplished. Except this is more like an octopus, and all the balls dropped are Faberge eggs worth millions. Here in Canada, we are trying to use a collaborative process to develop a strategy for welfare improvement through the National Farm Animal Care Council. We have farmers, vets, industry, welfare scientists, humane societies, retail councils and all other players in egg supply sitting around the table hammering out a policy. It is excruciatingly slow, but I think it is going to result in some improvement in welfare in Canadian egg production….rather than just a redistribution of the geography of egg production.